CSI Computers is dedicated to helping people solve their computer issues and to educate them on the technologies they interact with daily. We appreciate that when your computer breaks, you don't want to be without it for very long, so we aim to have same day service and try to complete repairs in the shortest timeframe possible. 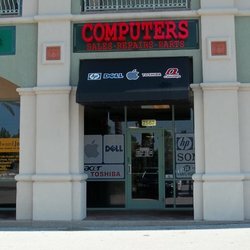 CSI computers in Dr. Phillips , serving all Orlando Metro area, is dedicated to providing the highest standards in computer , laptop, call phone, Game consoles and all other electronics repair. We have award winning customer service, and have been recognized by numerous organizations for our high standards of customer care. We enjoy the challenges and excitement that comes from the job, and love the satisfaction that comes with exceeding a customer's expectations. So if you are experiencing computer troubles why not give us a call and allow one of our friendly staff to show you how quick and painless it is to have your computer or laptop repaired today. We only do what we do best. We only deal with home users and very small businesses, which makes us ideal for common problems that you may run into such as virus and spyware removal, as well as those annoying problems where the computer simply won’t turn on. In short, if you have any problem with your home or small business computer - we can fix it, and in most cases much faster than you would expect. We offer flexible trading hours. We know that people have hectic schedules to maintain these days. Whether it be doing overtime in the office, or having to rush the kids to soccer training, we know your time is precious. That's why we offer after hours repairs where ever possible, and try to work around your lifestyle as best we can.